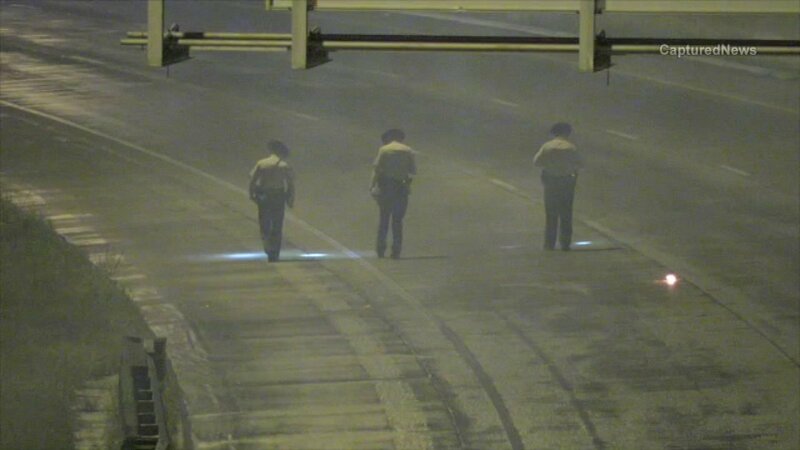 Illinois State Police investigate after a shooting on I-55. CHICAGO (WLS) -- Three people were wounded in a shooting on I-55 Friday night, Illinois State Police said. Five people were heading south on I-55 near the I-94 interchange at about 11:50 p.m. when someone opened fire, police said. One person was shot in the abdomen and leg, another shot in the hand and a third person suffered a graze wound to the neck, police said. Beside the three wounded, two others inside the car were hurt by broken glass. A shooting was also reported on I-57 Saturday morning near where it meets the Dan Ryan Expressway on the Far South Side. These latest incidents come on the heels of a shooting on the Dan Ryan Expressway early Friday morning. This now makes 30 expressway shootings here this year.